Yellowstone National Park is big, covering a vast 2.2 million acres. In my park ranger days, based in Mammoth near the north entrance to the park, I learned the 3,472 square miles of our nation’s first national park is larger than Delaware and Rhode Island combined. However, the federally managed gem is small potatoes compared to the collective size of Montana’s state lands. Congress granted land to new states following the Revolutionary War to help establish a source of ongoing support for services states need. Unfortunately, most states sold them off, wooed by short-term profit. Now, nine western states hold most of the remaining 46 million acres of state trust lands, collectively generating billions every year, and primarily for the benefit of public schools. States continue to struggle with the best use of trust lands, and those uses have changed in the 125 years of state land management. However, the primary function of our state trust lands is to provide a steady flow of cash to invest in Montana’s schools and our children and provide that steady income into perpetuity. 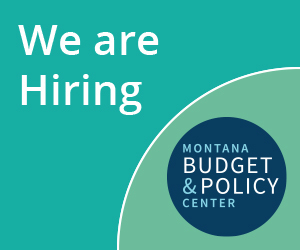 Here at the Montana Budget and Policy Center, we rely on our leaders to make decisions that weigh the short-term economic benefits with long-term stability of budgets. In the case of state lands, Montana made wise choices years ago to hang on to these state lands that now generate approximately $60 million just last year. While state lands are significant and diverse, from the 13,000 acres of trails and recreation land in Whitefish, to the timberlands in the Swan Valley, to the most profitable oil fields in the Bakken, Montana should continue manage state lands carefully, protecting their long-term productivity.